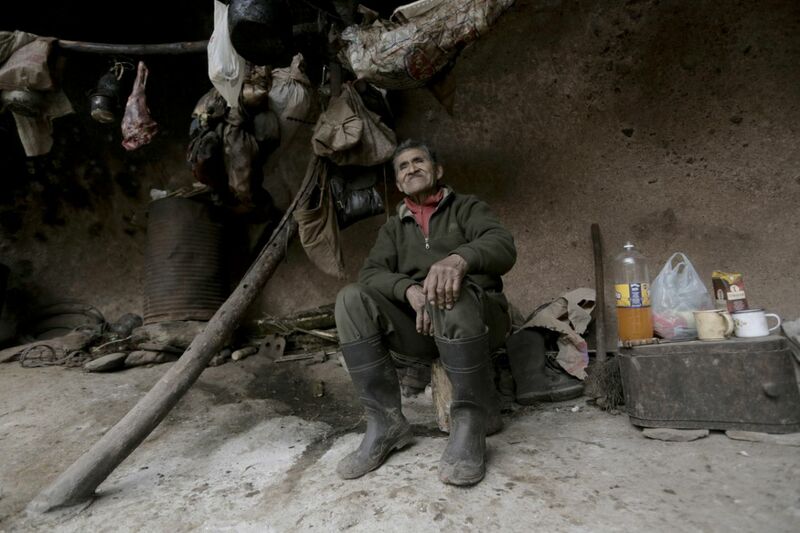 79 year old Pedro Luca has spent the last 40 years of his life in a cave in northern Argentina. Every once in awhile, you feel the stress of living in the city wearing you out, and you swear that you will quit life and go live in a cave. Pedro Luca actually did it. Pedro Luca lives in a cave up high in the mountains of the northern Tucuman province of Argentina. He has lived there for 40 years without access to electricity or running water, and he is there by choice. Not only does he live without water and power, Luca picks up his rifle and goes hunting for the day’s meal. In other cases, he would hike down a three hour trail to the settlement of San Pedro de Colalao, the closest to him. Living off of a $100-$200 government pension, Pedro Luca uses the money to buy yeast and corn from the nearest market, 3 hours away. For water, Luca heads down to creek,which he describes as having “the purest, richest water”. Even though he says that he wished to live in the wild since he was a small child, Luca also wishes to travel the world and see Europe. The story of Pedro Luca, the 14 year old coal trader turned man off the grid, has attracted many people to hike up to his sanctuary. People often visit Luca out of awe, and usually bring gifts like food and material he can use.